Doorbells will soon be ringing with the arrival of trick-or-treaters, and shoppers are getting ready with costumes, decorations and candy. After back-to-school retail sales grew 6% over 2017, retailers should not be spooked about their upcoming Halloween retail sales outlook. Back-to-school spend has historically been indicative of how holiday retail sales will perform, but there is an even stronger correlation between Halloween spending and the strength of the holiday shopping season. The National Retail Federation expects total 2018 Halloween retail sales to reach $9 billion, which would be the second-most successful promotional period for this holiday post-recession. To take advantage of this spend this October, retailers can get creative by aligning Halloween-related themes, messaging and merchandise with their own brands. From clothing to home goods, everyday retail brands are getting in the Halloween spirit by leveraging cross-merchandising strategies. Clothing stores are positioning their typical commodities as potential Halloween costumes, since this type of seasonal attire should capture $3.2 billion in sales through October 31. Stylish graphic tees are on trend in particular this spooky season, with retailers selling products with Halloween-themed slogans or black and orange colors, allowing people to dress for the holiday without having to be in full costume. Those on-season tees are perfect for kids where schools don’t allow costumers, and for adults at workplaces who frown upon their employees showing up in Fortnite or unicorn costumes. Through accessories and strategic omnichannel merchandising, retailers that do not sell typical ghoulish apparel can entice customers of all ages into buying some of their clothing pieces to help create the perfect, one-of-a-kind get-up. 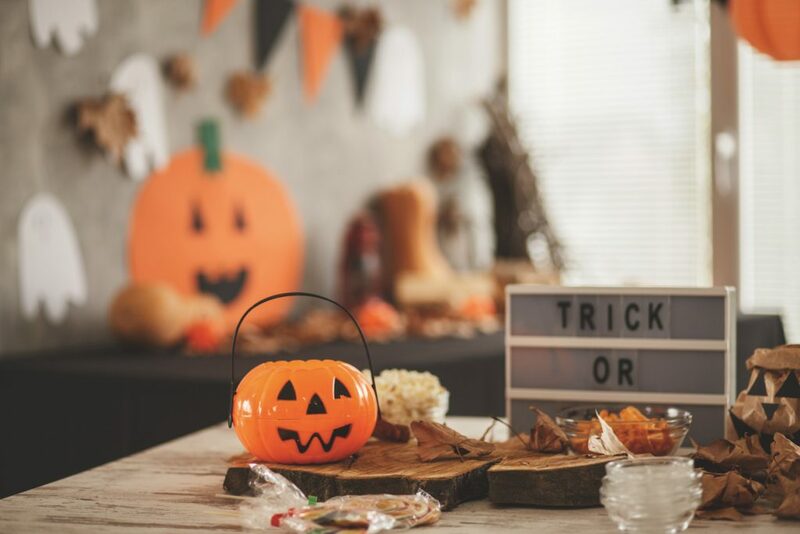 Similar to apparel cross-selling, furniture and home good retailers are finding ways to be a part of the holiday spirit by hosting in-store Halloween events or showcasing their usual products along with seasonal decorations. IKEA is hosting “spooky reading” sessions for children and Halloween-themed escape rooms in stores to entice shoppers to actually visit the stores and engage with the brand. Both events showcase IKEA’s furniture products in unique, fun environments and Halloween is the perfect excuse to visit the store and make a purchase. Customers actually get to use and test the furniture in ways other than walking through a showroom. Shoppers might walk into a store for some seasonal skeleton and tombstone decorations, but walk out with a new piece of living room furniture that caught their eye amongst the ghoul décor. Shoppers are increasingly turning to the Internet to find inspiration for Halloween celebrations and pumpkin-themed purchases. Outside of the store, retailers should take advantage of all digital marketing channels for reaching consumers, giving their brands ample opportunities to join in the Halloween spirit on online platforms. For 2018, the NRF predicts 61% of consumers will turn to social media sites such as Pinterest and Facebook to find inspiration for their costumes, decorations and parties. An additional 35% of consumers conduct a general online search to spur Halloween ideas. Furthermore, email marketing has a high return on investment and most brands are already sending promotions and newsletters via email. A Halloween-themed email campaign, even for non-traditional Halloween retailers, serves as a fun and multi-seasonal way for consumers to engage with your brand. Additionally, social media campaigns showcasing Halloween-themed outfits or party tips are a visually appealing way to advertise everyday merchandise in a relevant seasonal way. Retail sales should be anything but scary if brands utilize the Halloween theme in both their merchandise and digital marketing plans. Consumers are ready to open their wallets and get in the spirit of October 31st, accelerating their spending with momentum expected to carry through the end of the year. Looking back at 2017, both Back to School and Halloween sales had a highly positive correlation to holiday spending, with the trend expected to continue this year. 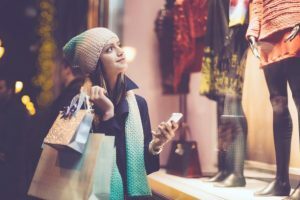 To learn more about what retailers have to look forward to this holiday season, check out our Holiday Retail Outlook whitepaper. Tom Colven is a Strategic Insights Manager at Alliance Data. In his role, he ensures leadership and associates are provided with timely industry, competitor, and market-related intelligence and analysis that supports and aligns with the company’s business decisions and growth. Read more by Tom Colven.